Descriptions of each single product below as well. 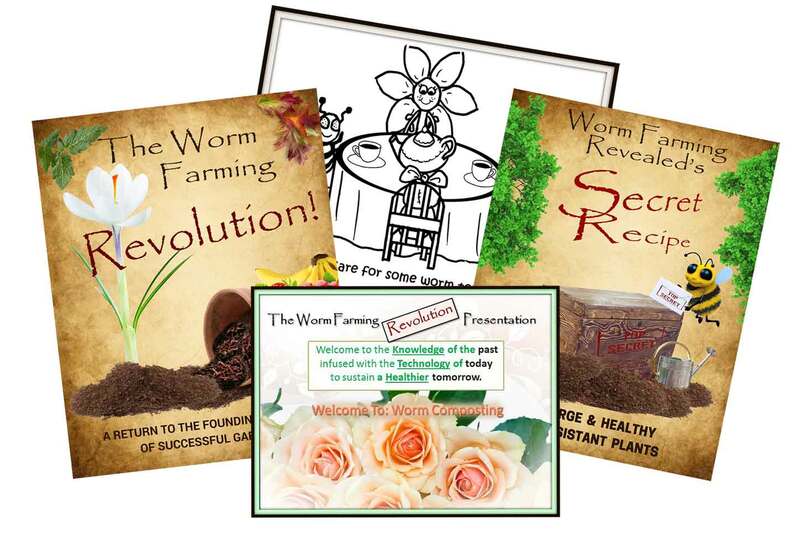 The Worm Farming Revolution Bundle is a 4-Pack e-Bundle that includes the Worm Farming Trilogy and 12 coloring pages. 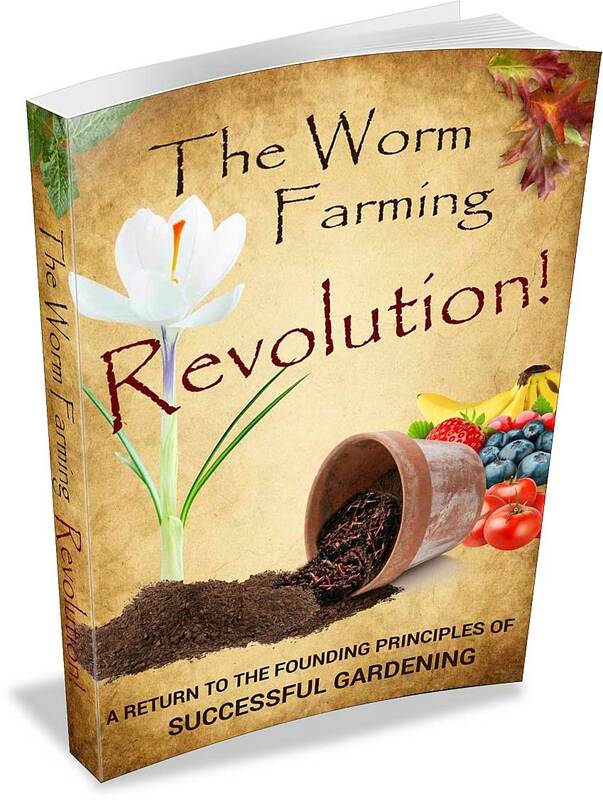 A total of 450 Pages of worm farming information & FUN! $5 Discount! Product available for immediate download. You'll be taken to a product download page PLUS the download link will be delivered to your inbox. You may need a PDF reader such as the free Adobe Acrobat reader, but many PDF readers and devices will work. You'll also need Microsoft Power Point or equivalent for the presentation. Download will be in one, easy 16 MB .zip file containing 6 files. Over 450 Pages of Knowledge! Would you like a BIGGER package? 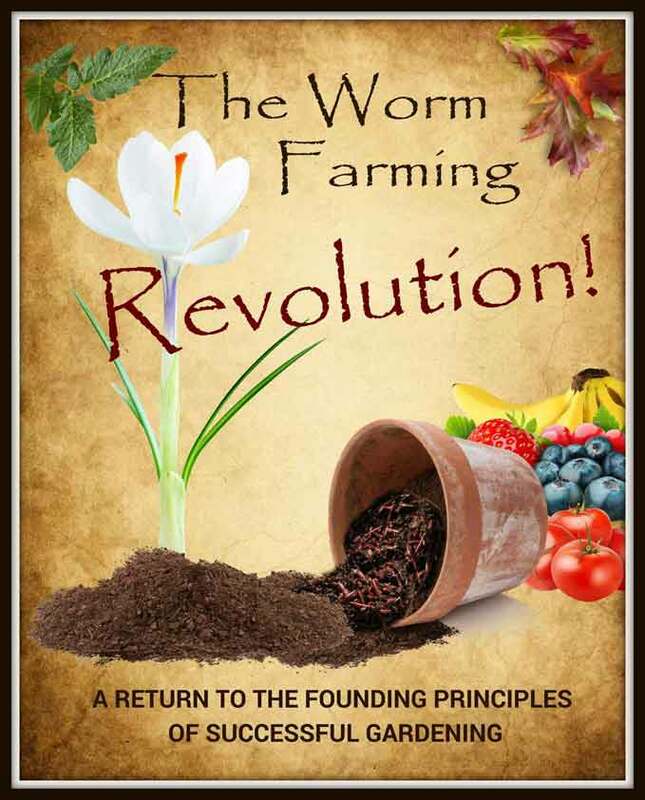 The Worm Farming Revolution Paperback Book (274 pg hard copy mailed via postal service). Usually ships same or next business day. Tracking # will be sent to your email address and book delivered to your front door. You may need a PDF reader such as the free Adobe Acrobat reader, but many PDF readers and devices will work. 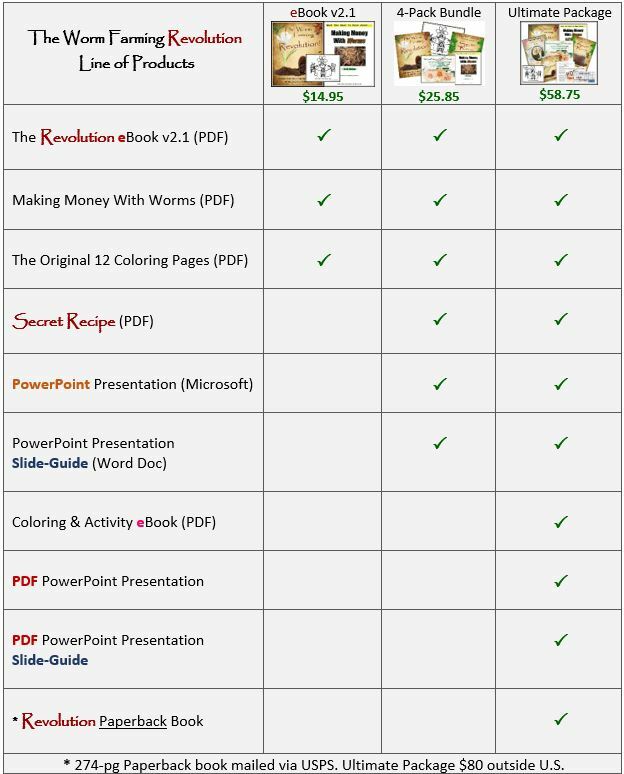 You'll also need Microsoft Power Point or equivalent for the presentation, comes in the PDF version as well. Download will be one, easy 21 MB .zip file containing 8 files . Hard copy will be mailed to you & tracking # to your inbox. Weeks of reading - Months of applying - Years of teaching!! Every gardener, fisherman, or recycler should have this eBook installed on their device. 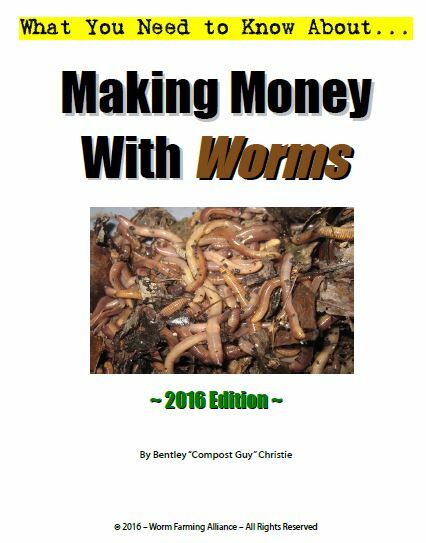 It's packed with charts, print-outs, terms, and everything you need to know to raise worms for healthy plants. Comes with the 80-pg Making Money with Worms guide. Go read the reviews. Same great book as above, only in a paperback book form. There are differences in outgoing links in both books. The paperback contains less links and not as user friendly with all the navigation tools. Same great content! This is a 36 slide presentation and comes with a 37 page "slide guide" for the presenter. Speak with authority. Completely editable too. 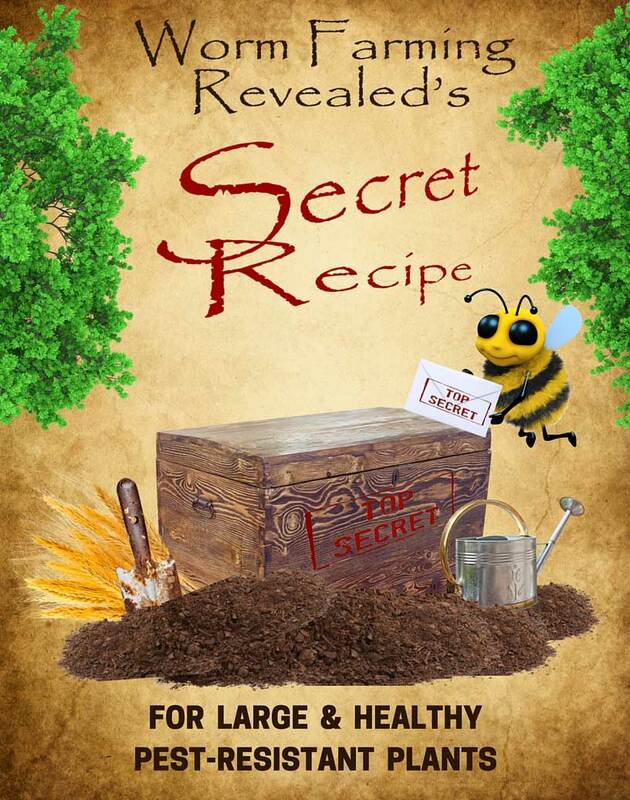 This is my personal recipe & methodology, That I use every year all in 40 pages. You'll never garden the same again! 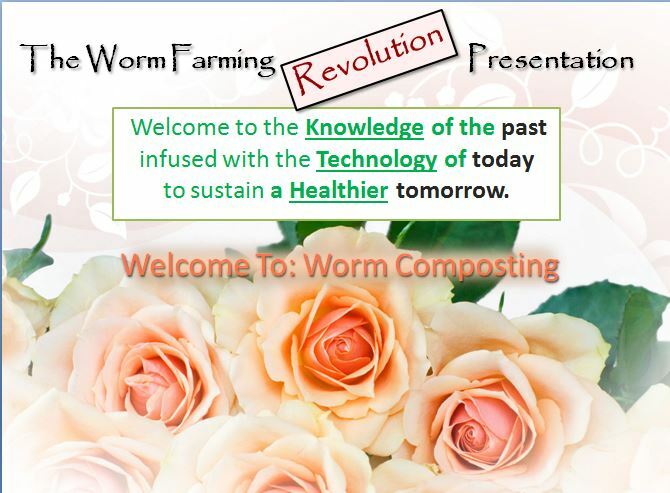 Learn about the Heroes of the Soil in the The Worm Farming Coloring & Activity eBook. 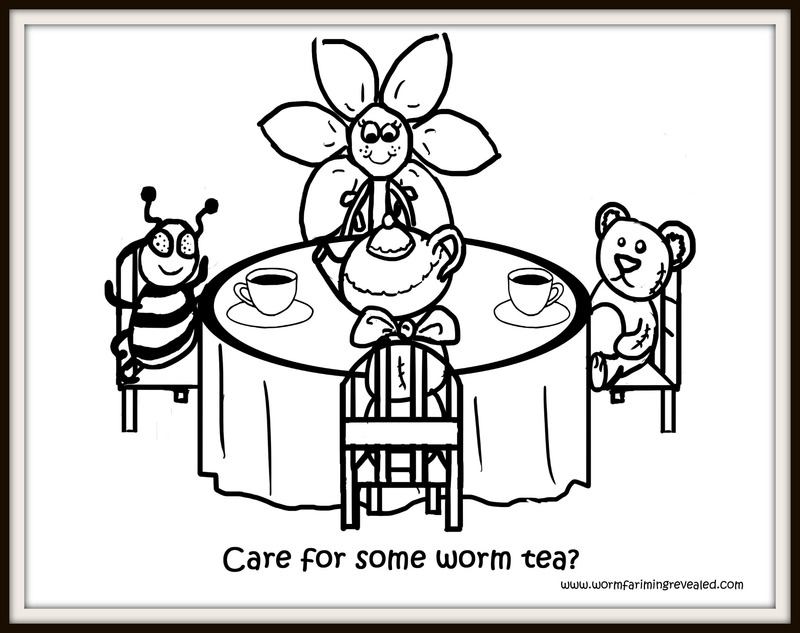 Not only will kids learn about worms and what they can do for plants and gardens, but they'll learn about what soil really is. It's alive and teaming with Super Heroes. These pages were our original from the beginning. They're designed specifically BY a kid, FOR a kid interested in nature. Print any page or all of them, as many times as you want. To purchase a single product, click on the more link next to the product picture. 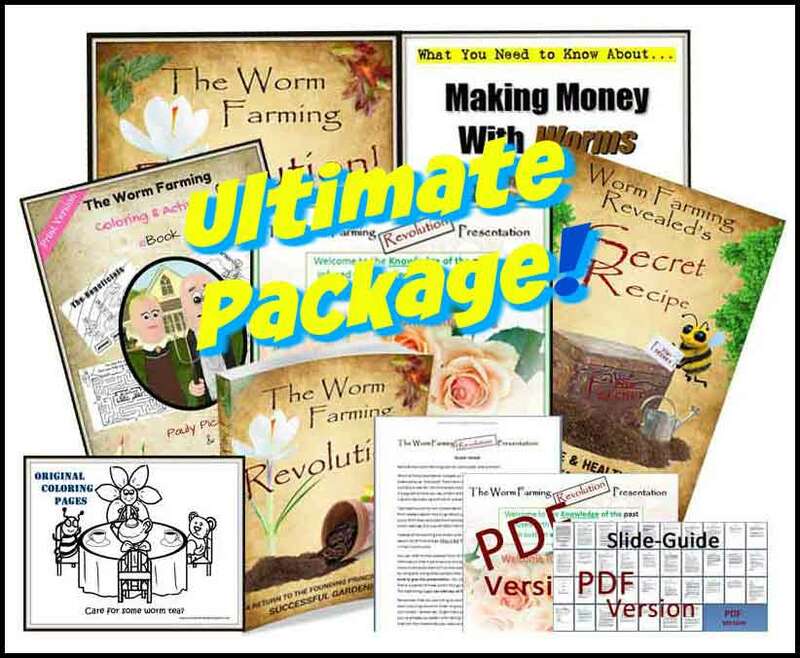 Scroll back to the top to purchase the Worm Farming Revolution Bundle (4-Pack Bundle) or the Ultimate Package. In a world where chemicals reign supreme, 1 ordinary earthworm gathers his friends to become extraordinary in fighting back to save our soil.